The UK is home to sweeping landscapes that are as beautiful as they are varied. Indeed the richness of our country’s contrasting golden beaches and rolling green countryside is truly a blessing that provides almost limitless scope when it comes to planning a successful family ‘staycation.’ However, this embarrassment of riches does have its downside, as it’s altogether too easy to become spoiled for choice! When it comes to planning that all important family getaway the first question is obviously ‘where to go?’ Do you escape to the countryside and relax in a quaint village away from the world? Or perhaps the hustle and bustle of a city break is just what you are looking for, with exciting shopping and metropolitan restaurants? Alternatively, you could always venture further afield and head to the coast where golden sands meet the mysterious and enchanting sea. While a family holiday to one of the UK’s many coastal towns might conjure up images of a traditional seaside trip with sand castles, ice cream and Punch and Judy (certainly not necessarily a bad thing! ), there is actually more on offer beside the sea than you might first realise. 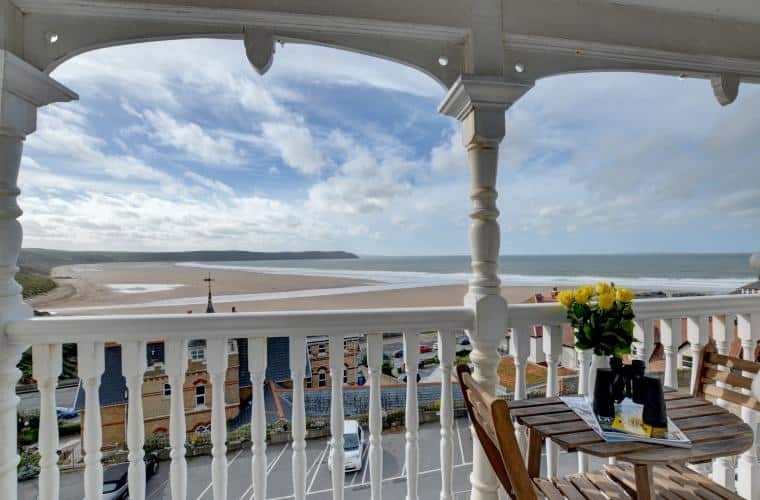 Here you will discover a tempting itinerary for visiting the stunning seaside resort of Woolacombe in North Devon that includes everything from fantastic family days out, outstanding natural beauty and sumptuous contemporary dining. Set at the mouth of a scenic valley in the parish of Mortehoe on the coast of North Devon, England, Woolacombe is fantastic seaside resort that has gained fame as a popular destination for surfing and for its award-winning beach. The beech at Woolacombe is three miles long with gently sloping sands that face out toward the Atlantic Ocean, close to the western edge of the Bristol Channel. It’s a fantastic spot to try your hand at surfing or to simply take a cooling dip in the sea. 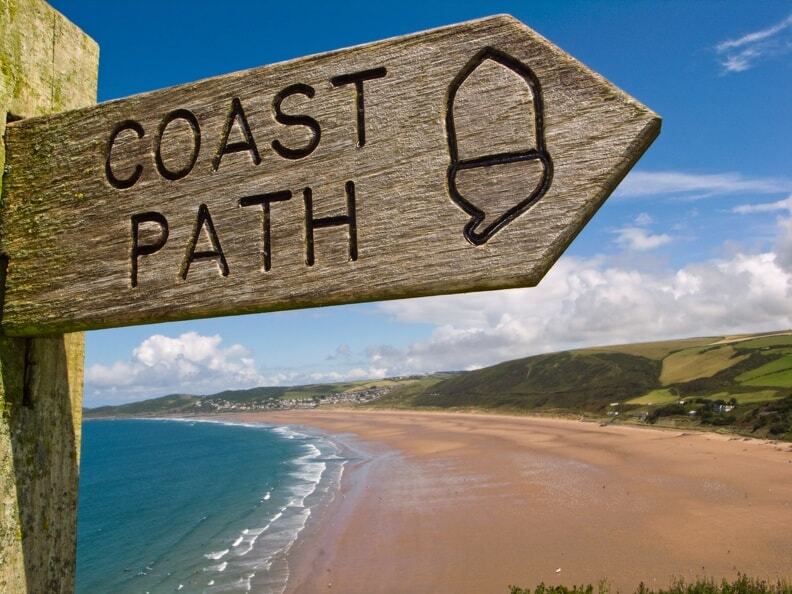 The beach is part of the North Devon Coast Area of Outstanding Natural Beauty and has claimed several awards, including Britain’s Best Beach in the ‘Coast Magazine Awards 2012’ and a similar accolade for ‘Britain’s Best Beach’ in 2015 for TripAdvisor. Whether you are looking to relax, go active or make new friends, Woolacombe is certain to have something for everyone. The Woolacombe Surf Centre for example, is a fantastic destination for surf enthusiasts of all levels of experience, ranging from absolute beginners or seasoned veterans. For those who would prefer to remain on dry land, a walk along the Morte Point Trail offers a relaxed stroll with some truly memorable views. Woolacombe and the surrounding area are also home to some great local attractions including Borough Farm, which offers splendid sheepdog and falconry displays, as well as events throughout the year. Outside of the summer months, Borough Farm hosts ‘Lambing Open Days’ over Easter each year, making the site a must-see destination for animal lovers of all ages. As well as all of the traditional beachside snacks and treats that you would expect from a coastal resort, Woolacombe is also home to several highly-regarded restaurants offering exceptional fine dining, so that you can enjoy first-class delicacies just a stone’s throw from the beach. Noel Corston for example is a cosy, multi-award winning restaurant that is the perfect venue for mum and dad to enjoy some quality time together. The restaurant only seats ten and highly popular, so reservations are a must! For quality dining experiences that are suitable for the whole family, you cannot go wrong with Bar Electric, which is a leading independent café with fantastic views from its own sun terrace and funky décor and furniture, great music, surf movies on loop and team of attentive staff. You should also be sure to visit Captain Jack’s, which is housed in Woolacome and the last-standing traditional pub in town. This friendly bar and restaurant offers a welcoming atmosphere and live music that will keep the whole family entertained. 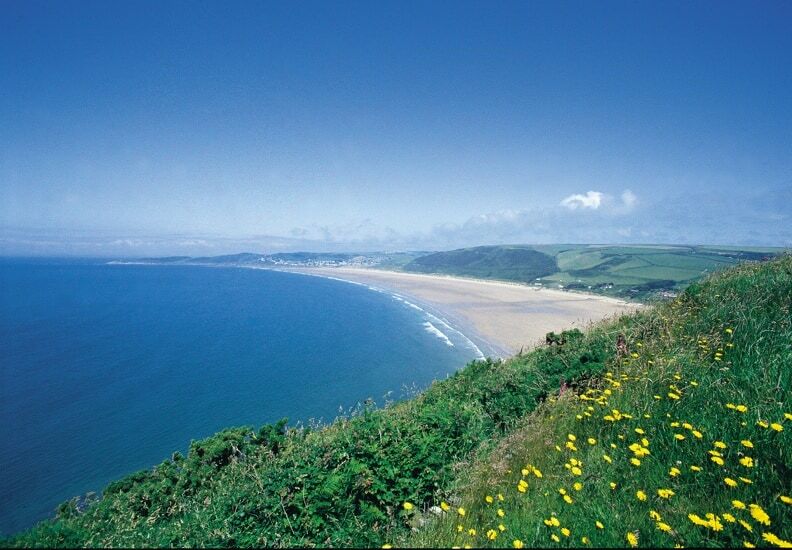 Of course after all that excitement you’ll need a place to unwind and Woolacombe is full of fantastic places to stay. One option that you might want to explore is a stay in a local holiday cottage. 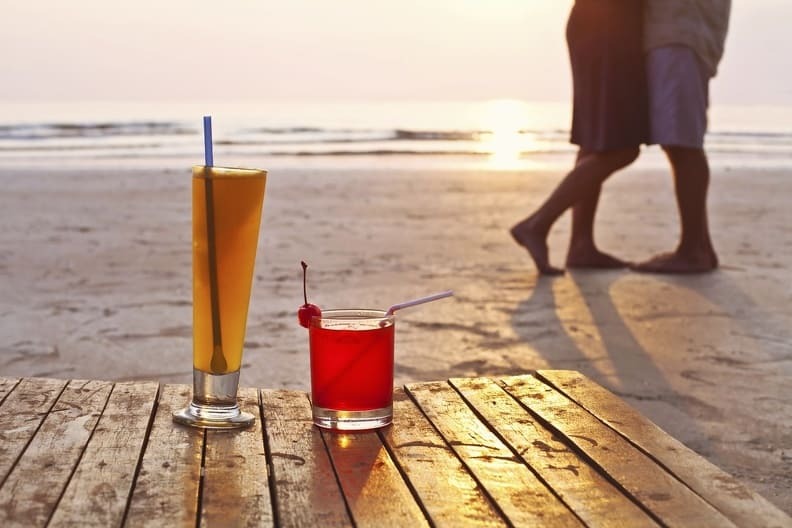 These offer all of the comforts of home and the freedom to come and go as you please, especially with properties such as Shoreline, which is located right next to the beach and offers amazing views. Beachcomber is another fabulous example of bright and colourful property that is perfect for a family of four. Woolacombe is a wonderful holiday destination and the itinerary above is only a small example of what is waiting to be discovered within the town and the surrounding area, meaning that every day will offer a brand-new experience. That is assuming that you aren’t tempted by another relaxed day on the beach. Written in collaboration with Marsdens Devon Cottages.